First it was Dr. Dre, then Lady Gaga, Diddy, and now Jay-Z is among music artists to come out with a line of headphones. 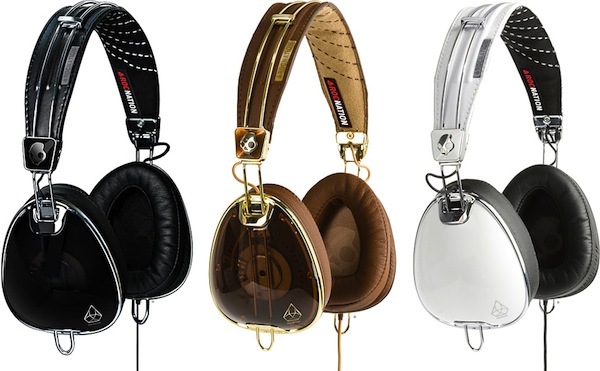 Jay-Z took the opportunity to partner with Skullcandy to create a collection of Roc Nation Aviator headphones. The Aviator collection sports a fold-able design, a pair of 40mm full-range mylar drivers with neodymium magnets, an “optics-inspired” polycarbonate speaker housing, a tangle-free nylon cable with in-line mic and controls. The headphones are made of stainless steel, aluminum and polycarbonate and are available in three colors: white, black and brown. You can pick up the headphones exclusively on Skullcandy for $149.95.